Way of the Dodo: Accessory. 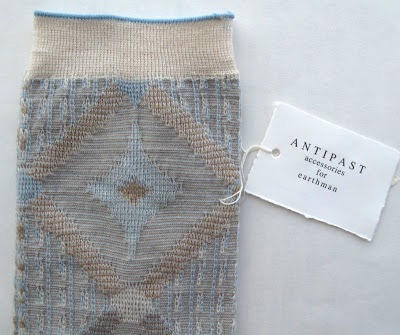 Take a look at these fine socks made by Antipast. 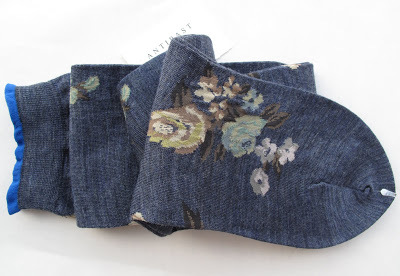 They are socks, but speak of these delicate knits as stockings. Hand washing them is a real pleasure, because they are so fine, and so well designed visually. They are also luxurious, and by that I mean that springing for a 30 dollar pair of socks is a treat, but it isn't one you have to save up for years to indulge in. I like to get a pair or two every year or so, and when I do, they really shame most of the rest of my sock drawer residents. Find them here and there* and when you find a shop that has them, you will notice that they are a marker species: You will like what these stockists have in their Hats, Coats, Gloves, Handbags, and Clothing departments as well. 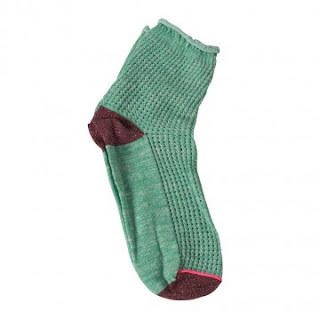 PS Another company that makes socks to dote on is Polder. * Bird, Barney, Twig, A mano, Ped, Anaïse, Mon.